Earn With AIM Global Ghana - GH¢ 2,000 Potential Income Per Day! Earn With AIM Global Ghana – GH¢ 2,000 Potential Income Per Day! Do you dream of having a time and financial freedom and get out of the financial crisis? Well, many people are dreaming of that but only few can find the right opportunity that will take them into the reality of their dreams. Some other may meet the opportunity but they are close-minded enough that their eyes can’t even recognize the opportunity. 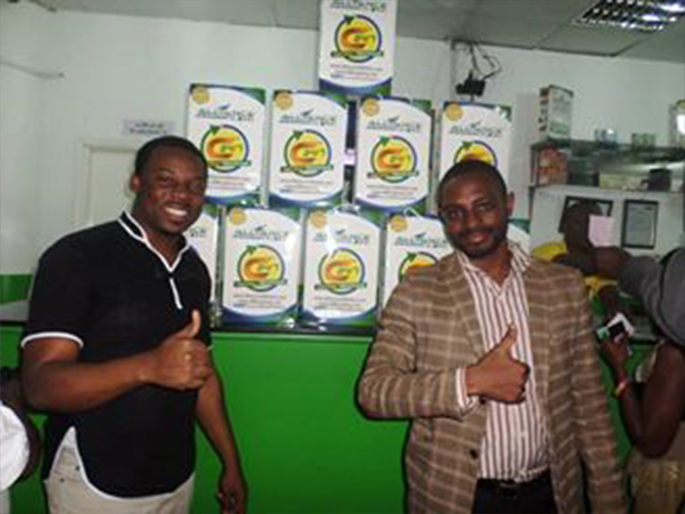 If you are reading this now, try to see how to earn with AIM Global Ghana like many Ghanaians who are a distributor. AIM Global has already created 4,000+ self-made millionaires worldwide. Thousands of people have proven the goodness of this opportunity and you too can make it. 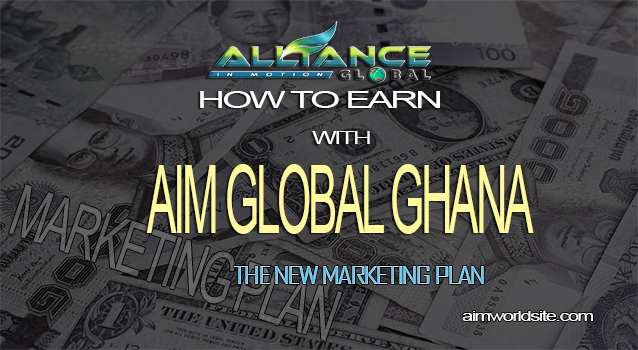 This is the explanation of the Marketing Plan of AIM Global Ghana as well as how to join AIM Global. I will show how the potential income of GH¢ 2,000 per day is possible. How to earn with AIM Global Ghana? Let’s talk about it. You need to become a distributor first before you can access the ways to earn. Becoming a distributor means becoming a member of AIM Global. You will become an extension of the company to reach out more potential customers. 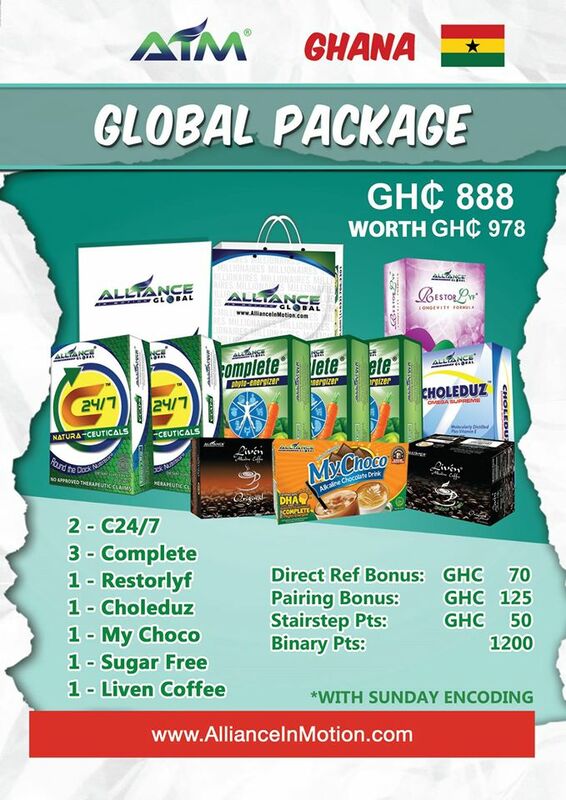 To become a distributor, you just need to buy the Global Package that you can buy in the office of AIM Global Ghana in Accra. The business capital to start with one account is GH¢ 888. The product worth in the package that you will receive is GH¢ 978. As you can see, you have an immediate return on investment through products. Please refer to the image below for theAIM Global Package for Ghana. ATM REGISTRATION FORM – The ATM will be used for your daily and monthly income. WEBSITE / WEBPAGE – Your own account in AIM Global’s computer system that monitors all your and your group’s successful sales transactions. DISCOUNTS Enjoy – 25% lifetime discounts on all AIM Global Products. GLOBAL BUSINESS – Enjoy the privilege of being an independent distributor and have your own GLOBAL BUSINESS with six (6) major ways to earn. I will make sure that you will receive the proper assistance when buying your Global Package in AIM Global Ghana Office. I will refer you to the office manager. After becoming a distributor then what? Let’s talk now about the Ways to Earn for members. How to Earn in AIM Global Ghana – Explanation of the Ways to Earn! I. Retailing – Earn by retailing or selling. You will earn 25% profit on every product you can sell or retail. Don’t be scared if you don’t like selling because this is not compulsory, no sales quota but a bonus way to earn. II. 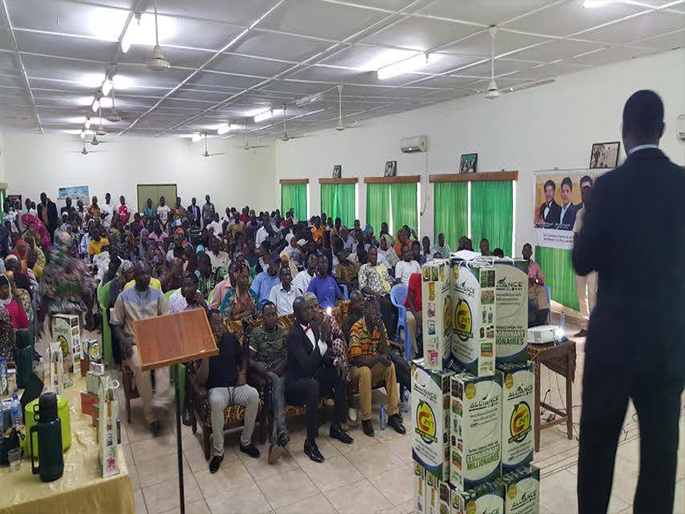 Sponsoring – Earn GH¢ 70 in every people you will sponsor to join AIM Global Ghana. All people that will register with your ID number as their sponsor will earn you a commission of GH¢ 70. Sponsor people as many as you can for faster income and business growth. III. Matching Bonus – Earn GH¢ 125 on every matched sale. This is the binary program wherein once you become a member, you will have two sales force which is the left and the right sales force. 1,200 binary points are needed on both sides to have a match. Every new member that will buy the Global Package has 1,200 binary points and that means every new join from the left and right will match. In that scenario, you will earn a commission of GH¢ 125 on every match. The potential income GH¢ 2,000 per day is possible through the matching bonus. You are allowed to have 16 matches per day so if each match you’ll earn GH¢ 125 then if you have 16 matches per day, it’s GH¢ 2,000 every day! Products also have binary points that can accumulate to reach 1,200 and find a match from the other side. IV. Uni-level Bonus – Earn 5% from your group sales from 1st level up to 10th level and an additional 5% from all your directs. This has a special feature of Dynamic Compression that only qualified distributors will be counted on the earning of 10th level. This gives more income to distributors and maximizes the uni-level bonus. V. Overriding Stair-Step Commission – Earn an overriding commission. The income here is based on your rank. Hit any rank with no time frame, no reversion, no demotion, and no pass up. It’s higher rebate minus lower rebate. Example: If you are a GA, you have 10% overriding on all your GE, 20 % on all your SE and 30% on all zero ranks under your group. Silver Executive – Earn 10 percent overriding commission on all zero ranks under your group. To become SE, just accumulate 10 positional group product points or personal points from product reorders. Gold Executive – Earn 20 percent overriding commission on all zero ranks under your group. To become GE, just accumulate 100 positional group product points or personal points from product reorders. 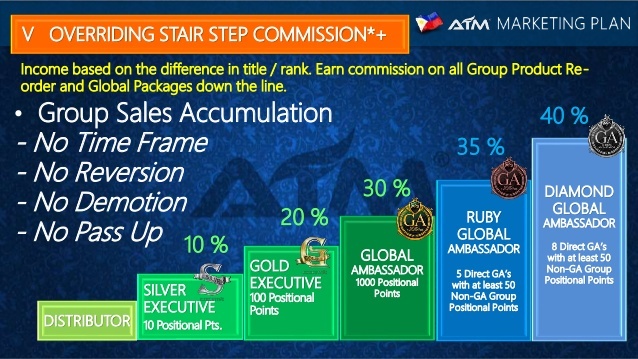 Global Ambassador – Earn 30 percent overriding commission on all zero ranks under your group. To become GA, just accumulate 1,000 positional group product points or personal points from product reorders. Ruby Global Ambassador – Earn 35 percent overriding commission on all zero ranks under your group. To become a RUBY GA, you must have 5 direct GAs with at least 50 Non-GA group positional points. Diamond Global Ambassador – Earn 40 percent overriding commission on all zero ranks under your group. To become a Diamond GA, you must have 8 directs GA’s with at least 50 Non-GA group positional points. VI. 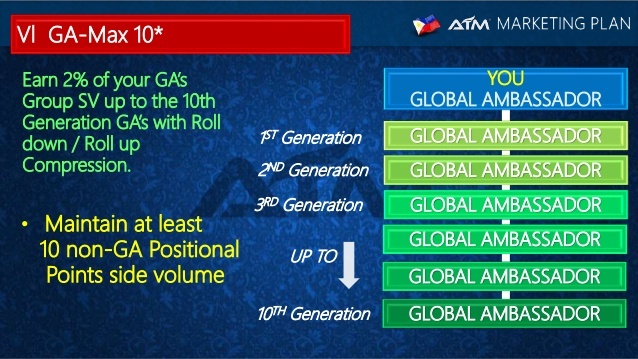 GA-Max 10 – Earn 2% of your GA’s group sales volume up to the 10th level with roll down and roll up dynamic compression. With these ways how to earn in AIM Global Ghana, your success is granted provided that you will follow the system, train and equip yourself with the right skills to grow your AIM Global business. If you are experiencing financial problems today, when do you plan to solve it? Or How? Your life today is just a product of you yesterday. 5 years ago, your life maybe was the same as today. And count 5 years from now, if you will not engage in a business like AIM Global for a change, then your life will still be the same. AIM Global can change your future for better. Contact the person who invited you to AIM Global. If you don’t have a sponsor yet, contact me and I will help you or even guide you to succeed. How to Earn With AIM Global Nigeria – ₦153,600 Potential Income Per Day! ← How to Earn With AIM Global Nigeria – ₦153,600 Potential Income Per Day!